Located south of Lancaster, New Hampshire, Mt. 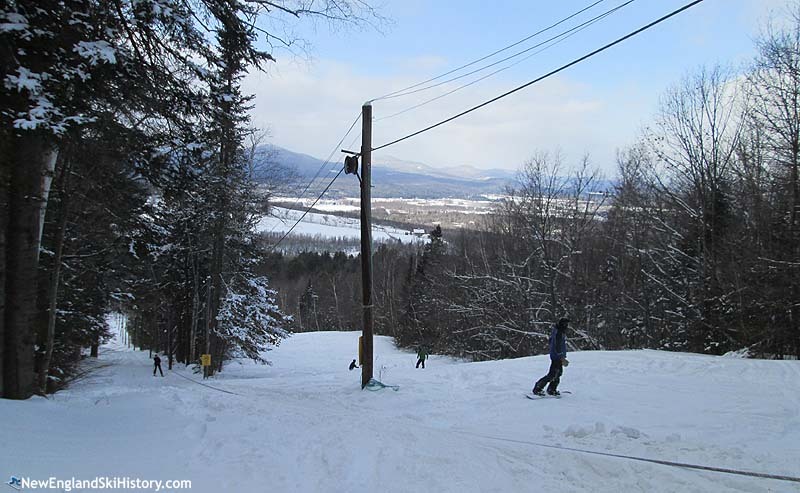 Prospect is a small, state-owned, club leased ski area. The history of Weeks State Park dates back to 1908, when Lancaster native and then-Massachusetts Congressman John Wingate Weeks began to purchase land on Prospect Mountain. Three years later, the Weeks Act was passed, paving the way for the creation of numerous national forests. Meanwhile, Weeks' private estate on Prospect grew to 420 acres. In 1941 the property was given to the State of New Hampshire by the children of Senator Weeks. Lift served skiing on the northern slope of Mt. Prospect likely dates back to the early 1940s. The initial operation was likely short lived, however, as the area closed during part or all of World War II. It likely reopened for the 1946-47 season and operated when natural snowfall allowed during subsequent decades. Mount Prospect Ski Club, Inc. was formed as a non-profit corporation in the fall of 1982. 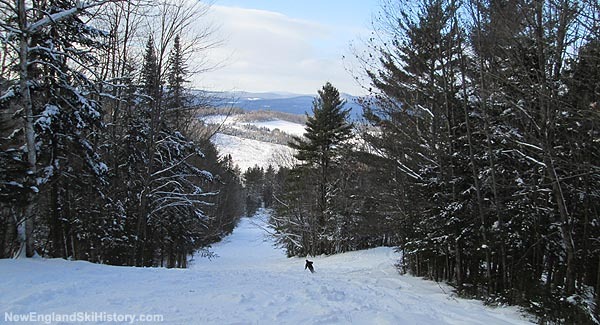 In February of 1989, the State of New Hampshire Executive Council approved a five year lease for the Mount Prospect Ski Club's ski area in the state park. The ski area likely closed following the 1996-97 season due to lack of snowfall. The base building collapsed the following year, further complicating the situation. After sitting idle for over a decade, locals rallied and reopened Mt. Prospect during the winter of 2007-08. The ski area continues to operate when natural snow allows with a 1957 Chevrolet powered rope tow, three trails, grooming, and a warming yurt. Volunteers staff the area, while the Town of Lancaster provides funds to cover liability insurance. "I skied Mt. Prospect as a kid. It had to have been somewhere around the late 1950s - early 1960s. Our parents dropped us off to ski for the day, and then we skied home - to Portland St. in Lancaster. We later moved to MA, but I have great memories of the place. I developed a love for the sport there and have been skiing ever since:)"
"I skied here on the day before President's Day in 2014. The upper trails were covered in powder, while the main slope was groomed packed powder. One could get seemingly limitless runs in, as there was no line for the rope tow. The views of the north country peaks were quite nice as well."